Despite the ups and downs of the local economy, E-commerce continues to be a positive trend in China. The Chinese market has become a major goal for international brands. They have discovered that opening an E-commerce in China is a successful way to target the local market there. There is no doubt, that the Asian market is currently one of the best opportunities to expand a business and escape stagnant economies back home. In China, for instance, the middle class is constantly growing both in size and spending power. Additionally, they have a natural attraction to foreign brands. However, the simple fact that the market there is receptive, is not a guarantee for success. International brands who want to enter the market must comply with local challenges. This includes building an E-commerce website with Chinese users in mind. A lot more is involved than simply translating your E-commerce website into the Chinese language. You must understand the nature of the market. The first step in paving the way to success in China, is to find a trustworthy E-commerce agency in China. One with a tight grip on the local culture and trends. Chinese developers know how to appeal to the locals. They also know how to structure your E-commerce website to meet the local demand. You may be surprised at how different the approach to the market can be in this part of the world, and how critical it is to adapt your business procedures accordingly. The second step is that you need to find a platform flexible enough to handle a Chinese E-commerce. In this regard, PrestaShop is one of the most versatile E-commerce platforms you can use in China. PrestaShop has all the features and functionalities you need to transform your existing E-commerce website into a customized online shop sought after by Chinese users. QPSoftware is certified as an official PrestaShop provider in China. Numerous opportunities and experiences shows how powerful this platform can be in China. Many of our clients have had to face a common challenge. That of transforming and adapting an existing E-commerce website to make it China-ready. New functionalities, different marketing tools, a different way to showcase the products, and more were all required. Here are a few examples of how PrestaShop has been a perfect tool in meeting all the requirements in China, as well as in creating a well performing E-commerce in China. Montagut is a renowned French, ready-to-wear fashion company. Even though the brand is well known in Asia, entering the Chinese market has required a redesign of their existing E-commerce website. PrestaShop has been chosen to undergo this transformation. First, the platform entirely supports the Chinese language. That could be the first deal breaker if a platform doesn’t support the language to enter the local market. 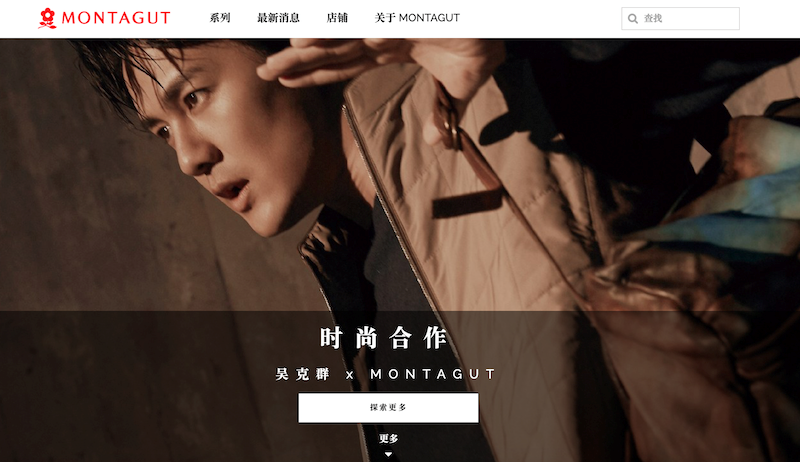 Moreover, if you compare the international Montagut online shop with its Chinese version, you will easily see that the overall presentation of the brand is completely different. Although, a strong brand identity is maintained, made possible by the PrestaShop modules that can be easily adjusted and modified according to the need. Another important customization dealt with the marketing strategy. Besides the newsletter field, the Chinese Montagut E-commerce has been implemented with QR codes linking directly to WeChat and Weibo. These are among the primary channels for marketing in China. SportyBay is another international brand that found PrestaShop to be an ideal solution for the Chinese market. The website can be easily navigated in both English and Chinese. PrestaShop has also been successful in satisfying other needs of the company. For instance, a WeChat login feature was mandatory for SportyBay and it has been added to the E-commerce website. The company needed to create a back-end system to easily manage vouchers and promotions. These features are all supported by PrestaShop, and our web development department in China customized them according to the client’s requests. PrestaShop includes useful functions that allow it to synchronize the E-commerce website with the warehouse and the invoicing system. Our PrestaShop experts have integrated these tools to make the E-commerce management nearly seamless. 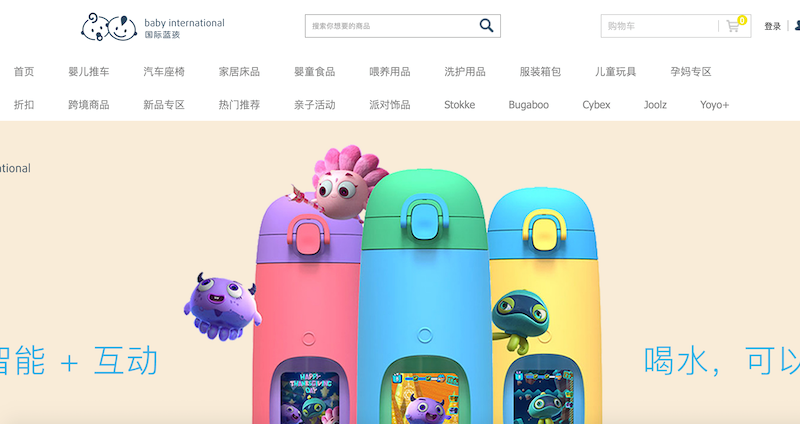 Baby International Blu is a perfect example of how flexible PrestaShop can be, for a business expanding in China. Baby International Blu was already running an E-commerce website in China and wanted to take their brand to the next level. Therefore, their website has been completely redesigned and updated to a newer version by PrestaShop to improve the user interface (UI) and user experience (UX). Since Chinese people mainly surf the Internet on mobile devices, E-commerce has become more mobile friendly. This is a feature fully supported by PrestaShop. To encourage conversions, popular Chinese payment methods like Alipay and Union Pay have been implemented. Customers can also track their order in real time and receive notifications about new items, current offers and promotions. As a result, Baby International Blu increased its turnover by 600% in just one year. This testifies to how powerful PrestaShop can be in making an E-commerce website user-friendly in China. Ichimore is another example of a brand that relied on PrestaShop to create a stunning E-commerce website with the aim of both educating their audience and encouraging them to buy online. Their website has been designed and developed for the Chinese market. Therefore, its E-commerce website is a combination of both a blog that educates its customers and an online shop to order their products. The website is 100% mobile friendly and linked to their WeChat Official Account. These features make it easy for the company to run marketing campaigns on social media and maintain open communication with their customers. The integration of payment methods such as Alipay and Union Pay give customers the comfort of finalizing their purchases directly on their mobile devices. This option is crucial in China. The above-mentioned examples testify to how powerful PrestaShop is for the Chinese market. The platform is flexible enough to serve both large and small companies. Most importantly, thanks to the modules available, PrestaShop is scalable and can easily adapt to the changing needs of your company. However, the full potential of the platform can be reached only with the help of an E-commerce website developer in China. This is because a Chinese developer has the needed knowledge and expertise to customize your E-commerce website for the local market. It is not easy for foreigners to understand the nature of the Asian market. It is difficult for them to determine what works in this part of the world.